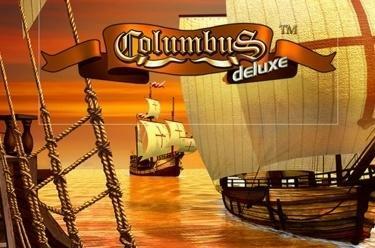 Play Columbus™ deluxe online for free now! Set sail and let's go! Conquer the 7 seas and discover a new world of chances to win with the classic slot machine Columbus™ deluxe! 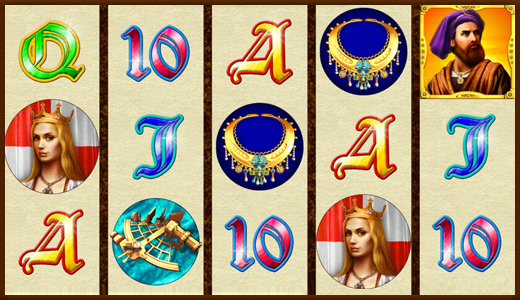 10 win lines on 5 reels are waiting for you in the regular game; in the bonus game you will go on a sea cruise, which gives you plenty of opportunity to capture many Twists! Your aim is to land 5 matching symbols along a win line. Every win line at Columbus™ deluxe begins on the left and runs in different patterns along the reels to the last reel on the right. In a winning combination several matching symbols must land next to each other - starting on the first reel - on an active win line without any other symbols between them. Scatter symbols trigger a win, regardless of their position on the reels. The Columbus symbol (Joker) substitutes all symbols except for Scatter. 3 or more ships regardless of their position will trigger 10 Free Games - the Free Games automatically use your bet and number of win lines from the last regular game. The ship as an additional joker can complement your winning combinations and increase your spoils during the Free Spins. 3 or more ships during the current Free Game win more Free Games.